Recovery of marble or natural stone. 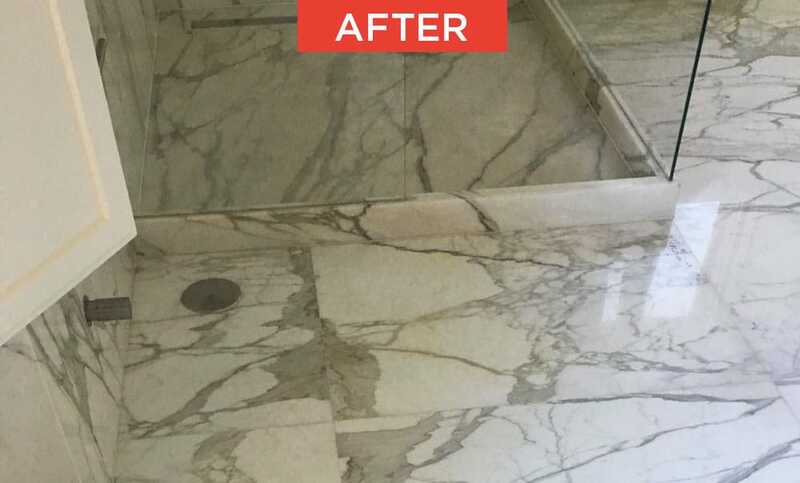 The recovery of marble or natural stone consists of restoring surfaces to its original state. The aesthetics and/or characteristics of natural stone can be affected due to the continued use or bad practices during maintenance. 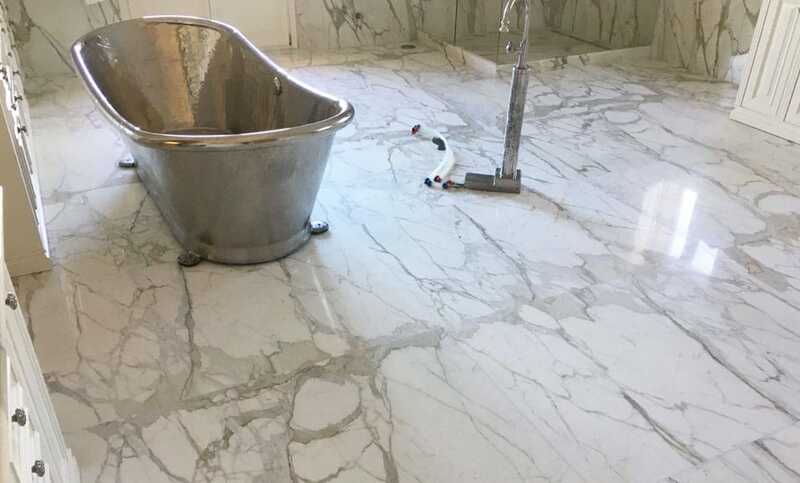 TINO Stone Care division, an integral part of TINO Natural Stone, has decades of experience in the field of recovery of marble or natural stone. Each natural stone has different properties and our technical team, with the help of TINO R+D+I, knows how to act according to the type of composition of the stone and the specific impact of each root cause. +Bathroom installed in 2013 with Calacatta polished marble wall and floor tiles. +Emergence of yellowish spots on the marble. One of the main causes of oxidation of stone materials is humidity, which can also be associated with the generation of microclimates that favor the appearance of colonies of bacteria/fungus that produce these alterations in natural stone. 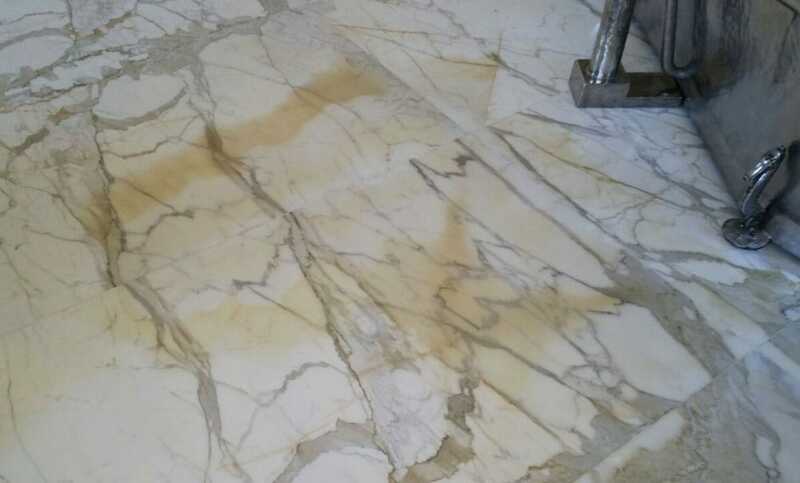 In this context, pathologies such as yellow spots on marble are inherent problems associated with the construction process and the evolution of the properties of materials, which may appear in the building after its execution. After the on-site inspection and the search for the possible causes of these alterations, we located a possible source of water due to a lack of sealing in the shower tray drain. Due to the capillarity, the moisture traveled through the gluing substrates carrying salts and various organisms. That’s how we found the source of the oxidation. We proposed the following correction of the “pathology”: as a first step the elimination of the source of the problem by properly sealing the shower tray drain. 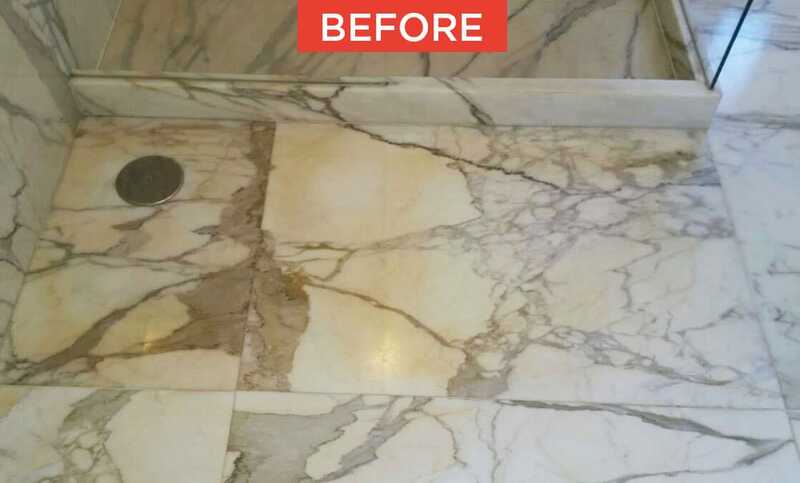 We then applied our marble products, which are treatment products and are not corrosive or harmful to the stone. Afterwards, we proceeded to the mechanical polishing of the intervened area in order to restore the desired aesthetic finish.